It was still early in the morning, around 8 am and the cheerful calls of the Blue-throated Bee-eater were distinctively heard in the cool morning atmosphere. The sole bee-eater had decided to make a pit stop at the Cempedak tree perch. I climbed the hill to get closer and the climb was well rewarded with images of the bee-eater with a prey caught between its beak which it hawked in mid air nearby. Incidences of the bee-eater coming to the park is a daily phenomena. 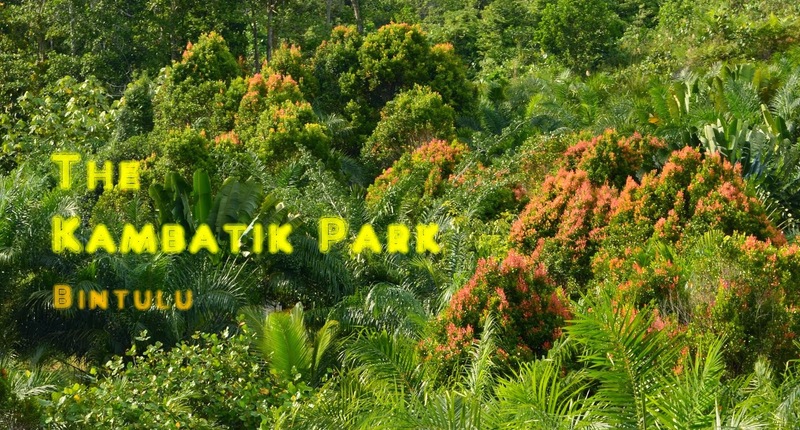 The park lies in their north -south flight path (from Bintulu towards Tatau ) which they habitually follow in the morning and in evening return flights. The bee-eater has striking turquoise-blue for its throat and greenish-blue for its breast. It possess green wings. Its head or crown is a beautiful chestnut colour. Partial view of the neighbourhood as seen from Cempedak Hill, looking south-west.